The updated WHO classification system for myelodysplastic syndromes (MDS) includes some new entities, in particular "refractory cytopenias with unilineage dysplasia (RCUD)". The following review article presents a short overview regarding all subvariants of MDS but with special emphasis on the rare subtypes of MDS that can be exclusively recognized histomorphologically: (1) Hypoplastic MDS (MDS-hypo), (2) Fibrotic MDS (MDS-F) and MDS with associated systemic mastocytosis (SM-AHNMD). Background: Stored platelet concentrates (PC) are in increasing demand for transfusion to patients with thrombocytopenia or disordered platelet function with active bleeding. Platelets are difficult to preserve in vitro for longer period of time. Different platelet additive solutions (PAS) have been formulated which can increase the survival period of PC during storage. Study Design: Comparative study. Materials and Methods: The study was carried out to compare in vitro changes in platelet indices [platelet count and mean platelet volume (MPV)] and extent of swirling in stored PC with and without PAS stored for 10 day. Results: This study included 42 samples of random donor platelet concentrates, divided into two groups. In one group, PC were stored without PAS while in other group PAS was added to PC before storage. Changes in platelets count and MPV were monitored by using automated hematology cell analyzer, in both groups on day 0, 3, 5, 7, 8, 9, and 10. Bacterial cultures were also applied to detect bacterial contamination of PC. The results showed that mean platelet count of PC stored without PAS was 5.6 + 0.1 x 1010/L on day 0 and it was 5.5 + 0.5 x 1010/L in PC stored with PAS. The difference between the two groups started becoming statistically significant by day 7. Platelet count was significantly lower in PC without PAS as compared to the PC stored with PAS (P value ≤ 0.001). 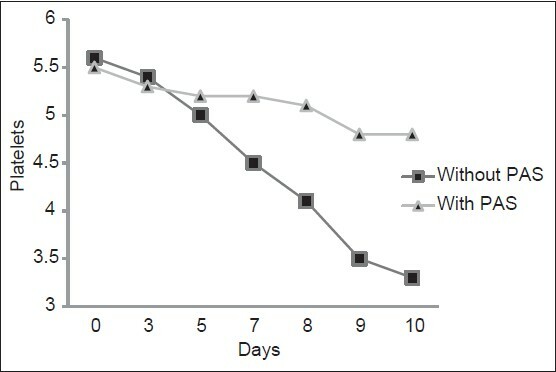 The difference in the mean platelet volume (MPV) between two groups was highly significant during 10 days storage (P value ≤ 0.001). Swirling was better seen in PC stored in PAS as compared to PC stored without PAS during 10 days storage. Blood cultures were applied on 42 samples on days 0, 5 and 10. Bacterial contamination occurred in few samples in both groups, those samples were not processed further. Conclusion: This study showed that the use of PAS in platelet concentrate storage bags increased the shelf life and viability of platelets as compared to those without PAS. Background and Objective: Recently totally implanted vascular access devices (TIVADs) have played an essential role in the management of pediatric patients. The purpose of this study was to describe the indications, techniques and complications of the procedures. Design and Setting: A retrospective study of all patients' files underwent TIVADs procedures between 2009-2012, in a single service providing institute in Saudi Arabia (King Saud Medical city-Riyadh). Patients and Methods: Fifty four TIVADs were inserted in fifty one patients (thirty males and twenty one females). Age ranged six months and twelve years (average 5.6 years). All TIVADs were implanted by pediatric consultant surgeons under general anesthesia. Seldinger technique used in fifty procedures and open approach in four patients. Results: The main indications for TIVADs use were acute lymphocytic leukemia forty six (90%), congenital nephrotic syndrum two (4%), hemophilia two (4%) and solid tumor one (2%). TIVADs were in situe for a total of 35222 days (average 652 days/catheter). Over all complications rate was (30%). Conclusion: TIVADs provided a simple almost pain free venous system access, allow children to conduct a normal life style and sport activities. We believe this study is one of very few reviews originating from developing countries with results comparable to those of world literature. A pre-transfusion blood sample with a well-spread and well-stained peripheral smear is indispensible for diagnosis of hemolytic anemia. 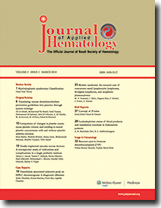 However, apparent hemoglobinopathies have been reported in previous literature. They are known to cause delay in diagnosis and treatment. We report a case of newly diagnosed β-thalassemia major infant, in which an abnormal peak was seen at retention time 4.71 minutes on Hemoglobin-High Performance Liquid Chromatography (Hb-HPLC). 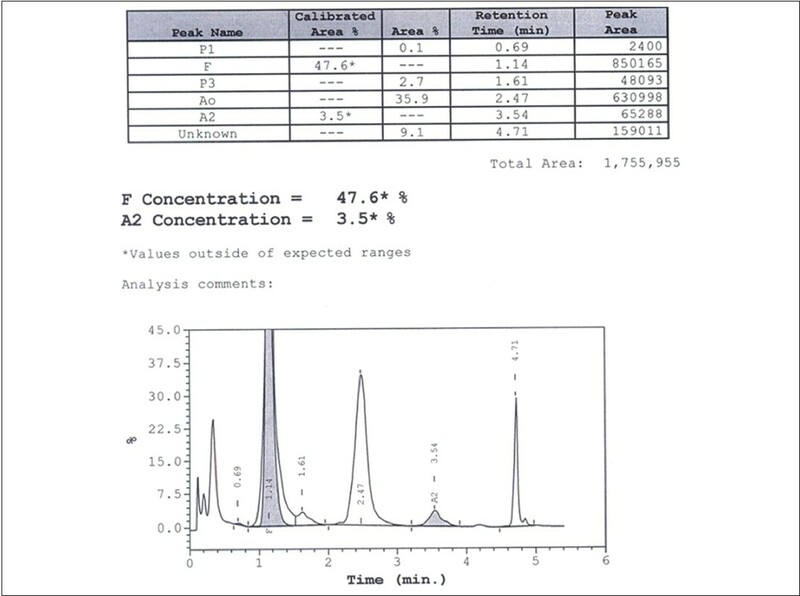 This peak was associated with history of recent blood transfusion and was confirmed by family study and with repeated values of HPLC. Chronic lymphocytic leukemia/small lymphocytic lymphoma (CLL/SLL) is a mature B-cell neoplasm that usually follows an indolent course. In a subset of cases (2-7%), transformation to a higher grade lymphoma occurs (Richter syndrome (RS)). 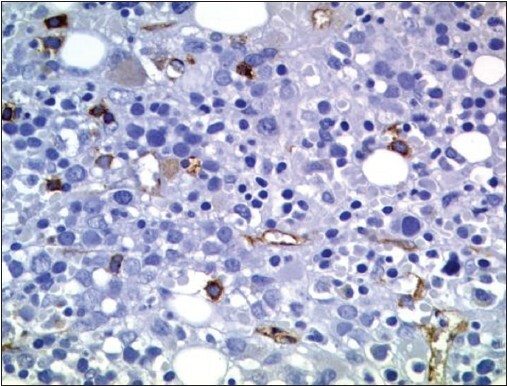 Herein, we report an unusual case of Richter transformation to a composite classical Hodgkin lymphoma (CHL) and anaplastic plasmacytoma in the same left axillary lymph node from a patient who was diagnosed with CLL/SLL seven years prior. The diagnosis of CHL was based on the presence of Reed-Sternberg (R-S) cells and mononuclear variants that showed CD30 and CD15 staining in a membranous and Golgi pattern, weak PAX-5 staining, and negativity for CD20 and CD45. The anaplastic plasmacytoma component comprised of CD138+, CD20 − malignant cells with lambda light chain restriction. Due to the absence of available tissue, clonality studies could not be performed. However, a single clonal origin was highly suggested, as the CLL/SLL component (CD5+, CD19+, CD20+, CD23+, and partial FMC-7+) also demonstrated lambda light chain restriction by flow cytometric analysis. 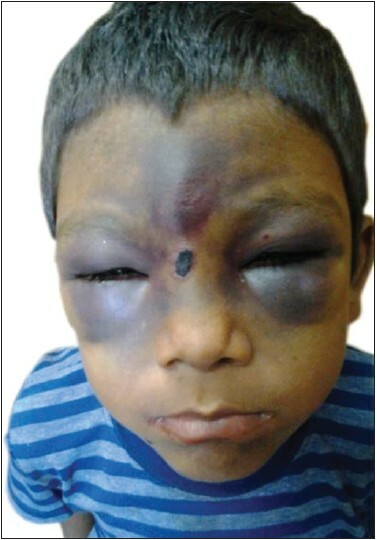 In this article, we describe the clinical and pathological characteristics of this unique case and review the pertinent literature. P -value has been criticized because it is widely misunderstood and don't tell the researchers what they want to know. Many clinical researches mistaken the conclusion of a significant P-value and may be exaggerate small and unimportant difference. In this regard, understanding of meaning and concept of P-value is critical to investigators as well as to readers. In brief, P-value is the probability of observing a difference equals or more extreme than what was actually observed, if the null hypothesis is true. It is not the proportion of chance that might cause the difference. 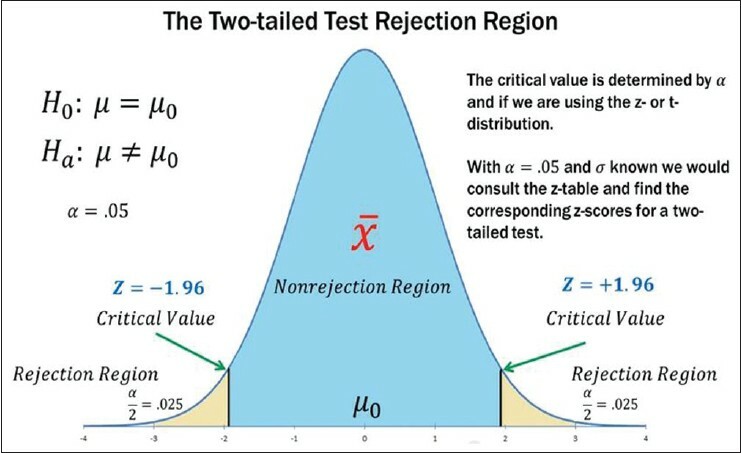 P-value is not the probability of rejecting the null hypothesis, that probability called α (Type1 error). The smaller the P-value, the stronger the evidence against null hypothesis. Background and Objectives: Multi-transfused thalassemic patients are prone to transfusions related complications. Study of these reactions and correlating them with the leukodepletion of the transfused packed red blood cells (PRBCs) reduces transfusion complications due to the transfused leukocytes. Materials and Methods: This is a retrospective study carried out on 1152 transfusions in 161 thalassemic patients at our institute between January 2011 and December 2011. The total transfusions were classified into three categories depending on the leukodepletion status of the PRBC. The clinical records and the reaction workup done to rule out the hemolytic reactions were recorded. Results: Reactions were noted in three (0.2%) out of 161 thalassemic patients were recorded. Two reactions were recorded on transfusions of leukoreduced (buffy-coat method) and one reaction in nonleukoreduced PRBC, respectively. No reactions were recorded on transfusions leucodepleted done by bedside filter. Conclusion: Leukodepletion by using bedside filter is a better method for avoiding transfusion reactions. Though in resource limited settings, leukoreduction using the buffy-coat method is also effective in reducing the transfusion reactions. Leukoreduction of transfused blood cellular components in thalassemic patients is helpful in preventing transfusion reactions.